Join us on Saturday, April 06, 10am-2pm for a free community event at the Bloor Dental Health Centre office at 415 Bloor Street West Suite 300, Toronto Ontario! What is the "Little Smiles Program"? The "Little Smiles" program was designed to encourage a positive and fun way to introduce children of all ages to the world of dentistry. 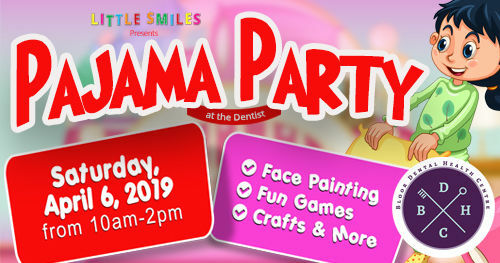 During this event the office is decorated and staff are all in character as children get to try out and learn about the tools and gadgets at the dental office, meet the team, and participate in arts, crafts and games! Please register using the form on this page. Call us at (416) 538-8883 for more information. Don't miss this special event! Can't make it to this one? Fill out the form and we will contact you for our next Little Smiles event. Please fill in the form to register for the Little Smiles Event.